Charles Johnson (who might disagree with me, Dalmia, and for that matter Reagan on immigration) thinks Calvin Coolidge is due for a favorable reevaluation, too (he’s already my favorite president, not that I’m saying there should be a government at all). 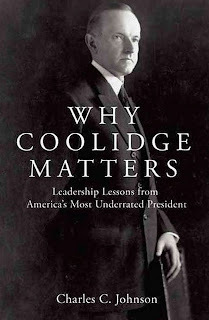 When not researching nefarious living politicians, Johnson (a young Publius Fellow and one of my fellow Novak Fellows) found time to write Why Coolidge Matters: Leadership Lessons from America’s Most Underrated President, and he makes a great case that both Coolidge’s many detractors and his libertarian defenders tend to mistake his very active – but laissez-faire – leadership for a sleepy, do-nothing style. Coolidge here comes off as a tough decision-maker, albeit one whose tendency to pick non-regulatory and non-tax solutions looked like neglect to many intellectuals of his day and, soon, to the Progressive historians who have since shaped how we see Coolidge. To many, he is mainly remembered as the president before Hoover and thus, presumably, one more person to blame for the subsequent Depression – but whereas the Depression may have been slightly exacerbated by Hoover and greatly exacerbated by FDR (conventional wisdom notwithstanding), it’s worth noting that the 1920s prosperity Coolidge oversaw increased American living standards by about half, with a substantial portion of those gains withstanding even the subsequent Crash. Coolidge as seen here should be of interest not only to libertarians but to fusionist conservatives, since Coolidge blends even more seamlessly than Reagan (who was influenced by Coolidge) a belief in laissez-faire and a humbly-religious belief that America owed its prosperity and success to a traditional moral foundation. Progressives (if they’re open-minded!) might be intrigued by the fact that Coolidge, as a Vermonter and then governor of Massachusetts, before becoming vice president and president, was very much a Progressive in the early-twentieth-century mold – but one who quickly became disillusioned with the gap between legislative intentions and real-world outcomes. He often complained that America had begun legislating faster than it could manage, predict, or understand the fallout of law-making. I can only imagine Coolidge would be as chronically-horrified as Ron Paul if he saw Congress in action today with its massive, unread bills (including, admittedly, immigration reform). •Coolidge saw Bolshevism as a threat to civilization itself, never recognized the USSR during his time in government, disagreed with Progressive Woodrow Wilson about whether socialism was a menace, and (rightly) saw the Industrial Workers of the World (the IWW or Wobblies) as the closest thing in the U.S. to a rising threat of communist revolution. De facto communism as cure-all was pushed by Plato long before it was pushed by Progressives – or Occupy. None showed much real understanding of economics. •Coolidge frequently praised the Declaration of Independence, not just the Constitution, and to the extent he (like Johnson) was more sympathetic than most modern libertarians to military intervention, it was because, writes Johnson, America’s “truths could not be limited to her shores.” Liberty for all, since all are human. •Even at a time when the Ku Klux Klan was immensely popular – and disturbingly influential in both major parties – Coolidge denounced eugenics as antithetical to American individualism, arguing for “a brotherhood of Americans in a citizenship that rested on ideals, not race” – in an era when Progressives like Wilson were enamored of eugenics and had been increasing segregation in the federal government. 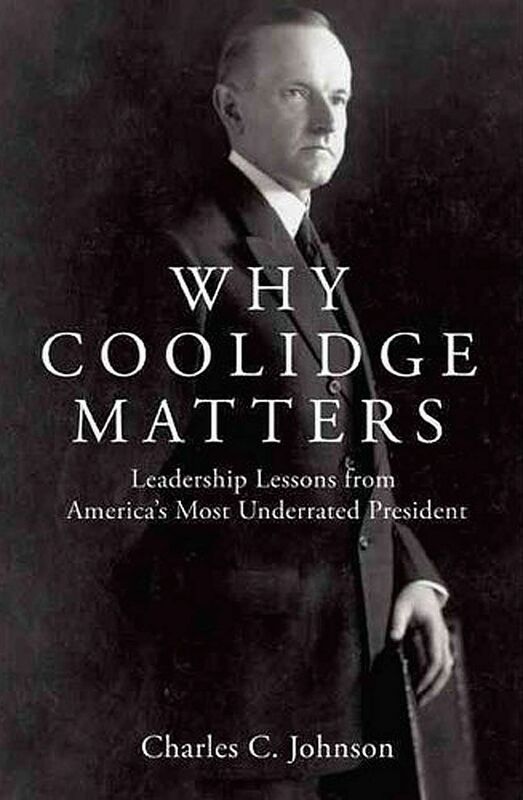 Nonetheless, historians have tried to lay the blame for the attitudes of the era at Coolidge’s feet. •Coolidge threatened martial law in states where the apparatus of government had been overtaken by Klan mobs, including Oklahoma, despite a majority of the legislators in the lower house of the state reportedly being Klansmen. •Coolidge tried but failed to prevent anti-Japanese clauses from being included in immigration legislation, objecting to the idea that there was a science of ethnology that differentiated between the rights of different groups. Mister, we could use a man like Calvin Coolidge again.